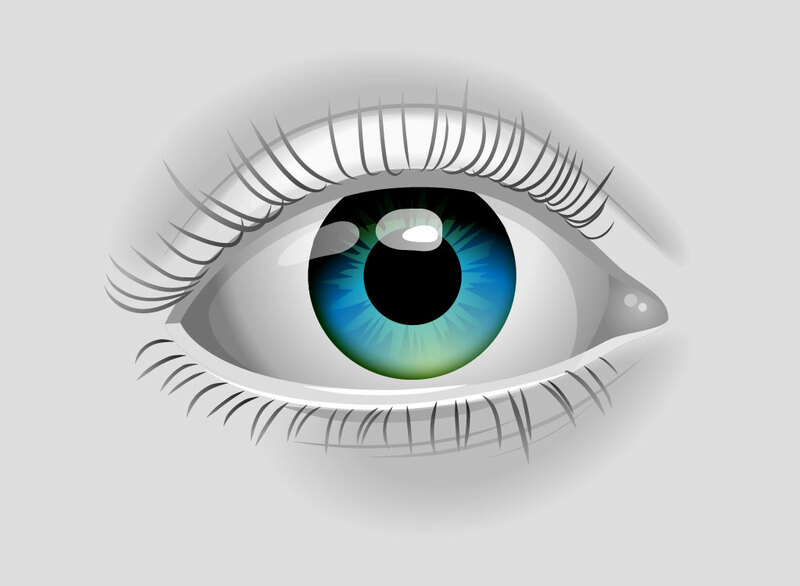 Free eye vector illustration. A 3D rendering of an eye that is beautiful and dramatic. A grayscale and color highlighted image that will make a great wallpaper or background. Add minimal copy for a powerful and dynamic design. Download as an AI and PDF vector file for your digital art, print or web projects. Tags: 3D, Cornea, Eye Ball, Eye Lid, Eyes, Iris, Lashes, Pupil, Realistic, Render.